The addition of Shaun Livingston has given the Golden State Warriors some much needed depth at the point guard position. Since Jarret Jack’s departure, the Warriors have struggled to find a quality back-up for Steph Curry and they had hoped Nemanja Nedovic would eventually develop into that role. Unfortunately, Nedovic has not been able to stay healthy, which has slowed him down since being drafted 30th overall in the 2013 NBA Draft. The Warriors were informed guard Nemanja Nedovic suffered a stress fracture in his right foot while training with the Serbian national team for the FIBA World Cup, a Warriors spokesman said Tuesday. The Warriors are waiting to review X rays to confirm the fracture after Nedovic reportedly suffered the injury while scoring five points in eight minutes in Sunday’s 82-69 exhibition win against Bosnia in Italy. A team doctor told Mondo.rs that Nedovic would return to Belgrade for an MRI exam on what’s believed to be a fracture of the fifth metatarsal, adding that he would need to have it immobilized for three to four weeks if the fracture is confirmed. Nedovic was playing in an exhibition game with the Serbian National team when he reportedly suffered the injury. Nedovic was finally starting to get into a groove after recovering from all his injuries last season. While he didn’t have the showing he expected at the NBA Summer League in Las Vegas, he did have some moments where his explosiveness was on display. He averaged 9.4 points and 2.2 assists per game in five games at the NBA Summer League. This is a tough blow for a player trying to prove his worth, the Warriors still have a to decide if they want to pick up the option on his contract. Nedovic was really looking to work on his game this summer and not being able to go up against some of the best players in the world will slow down his progression. 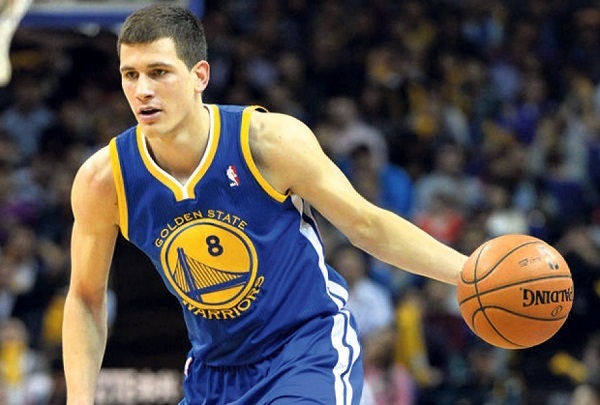 The Warriors will have a tough decision to make and it will likely depend on how long Nedovic will be out. Will the Warriors regret not trading for Kevin Love? Should Steph Curry and Klay Thompson withdraw from Team USA?